I previously owned a Windows PC and it’s really very easy to uninstall programs with the said device. Now, I use a MacBook Pro and have a lot of useless applications I want to remove. This is because it’s taking up too much space and at one point or another, my system might slow down. How do I uninstall programs on my Mac device? The following guide will teach you how to uninstall multiple programs at once on your Mac. Applications are very important. They can help you do a lot of useful stuff. But when you no longer need a specific application, you have to uninstall it properly to remove it completely from your Mac device. Unfortunately, simply moving an application to the Trash won’t remove it completely or properly. Yes, a big chunk of the application will be deleted, but a lot of leftover files (e.g. hidden files, support files, and some associated files) will be kept. Why is this so? Well, because if you simply move apps to the Trash, a lot of leftover files will be kept and this will take up so much space in your hard drive. Plus, it’s unnecessary clutter. You can use the space it takes up for better applications. Until Apple shows a way to uninstall programs correctly, you should take note of this guide. We will tell you a lot of tricks and tips to uninstall applications properly and make sure your Mac device is performing at its best. In this article, we’re going to state how to totally uninstall applications from your Mac device. This helps you free up more space on your device and enhances its performance. 1 - A do it yourself guide who wants to delete apps from their device manually and make sure everything runs smooth. 2 - an automatic way of deleting your apps using the software of iMyMac - the Mac Uninstaller. This method is faster and also more efficient. Whatever method you prefer, it will still help you to properly uninstall application on your Mac device. The result will be a Mac with a larger disk space that is also cleaner. Plus, there will be more space available for you to put in more data. We will also provide you additional tips on how to uninstall your Java and your Flash Player on your Mac device especially if these are causing problems to your system. Putting your applications towards the Trash won’t remove it completely. But we’ll show you how to find all the remaining associated files of the application you will delete. That’s even after you have already deleted the app and sent it to the Trash. Before you start trying out our guide on how to delete apps manually, you should take note of our reminder--that you should be mindful of what you are actually deleting on your Mac device. You might delete files important to your system and it might cause your device to have issues. Thus, it is important for you to check out the file names before you actually start uninstalling software on your Mac. Ensure that these files actually belong to the application you want to delete. Sometimes, for no apparent reason, your Mac device will not allow you to delete some of the files. When this occurs, you simply have to reboot your Mac device and try deleting the files again. That is after you have hit the Command + Esc + Option buttons and have ensured that the application is not actually running. If it is open and running (e.g. in the background), force quit the said application (or file) and try deleting it again. There’s another risk to doing the manual method of deleting applications. If you are not that thorough, you might run the risk of keeping some leftover files and not actually deleting them. If you think the manual method is not for you, then it’s best to skip this part and go on to the next part--the part where you use a tool called iMyMac’s Mac Uninstaller. Step 01 - Put the application(s) towards the Trash. Step 02 - Write the actual name of the applications you have moved towards the Trash. After you have written the names, go on to the next step. Step 03 - Visit the following folders below. If you find a folder that is associated with the applications you have moved to the Trash, delete this folder to totally uninstall the said software. 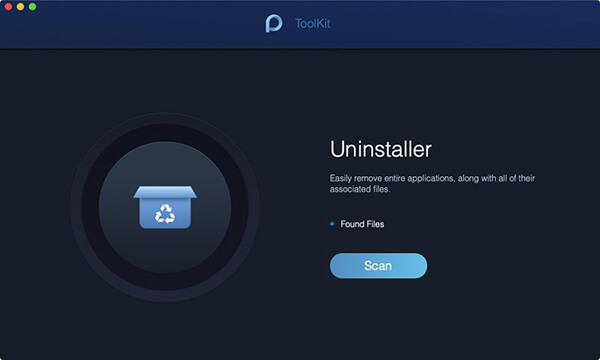 01 - The Mac Uninstaller is very powerful as it is able to scan your device for all programs and applications. 02 - The entire scanning and uninstallation process can be done with just a few simple clicks. 03 - It is very efficient in cleaning up and removing the apps you want to uninstall in your Mac device. 04 - The scanned applications are displayed depending on the category you want. It can be displayed by size, date, time, etc. 05 - You are allowed to try the Mac Uninstaller for the first 500 megabytes. This means you have a free trial. Thus, you don’t have to pay for the product first just to experience what it can do. 06 - You are given one on one support and email support as well. 07 - Uninstallation of applications is made very easy through Mac Uninstaller as it makes sure that there are no leftover files in the system. It doesn’t cause any harm to your device as well as only the files associated with the program you want to uninstall are deleted. Download the tool from the official website. Launch the iMyMac-PowerMyMac tool in your device. 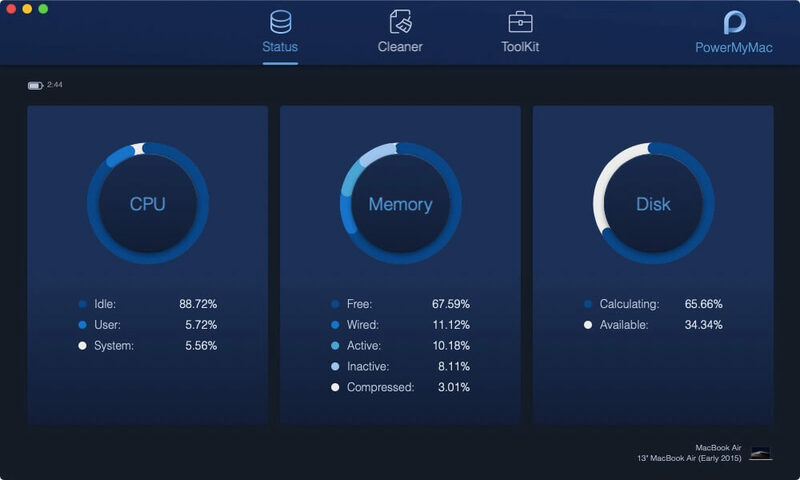 The main interface will display a lot of information about your system. Go to the top side of the interface and choose "ToolKit". Press the button named Scan. Wait until the software has finished scanning your entire device for applications and programs. Select the application or program you wish to uninstall. Confirm the operation by pressing the button named Confirm. It’s very easy, right? That’s how you delete unwanted applications with iMyMac’s Mac Uninstaller. It is known that the Java plugin conflicts with a lot of applications. When you reinstall the Java application, it might lead to some apps working again. However, completely uninstalling Java might be difficult compared to uninstalling normal applications. Although, it’s not that hard as it may look. After you have uninstalled Java, you can actually reinstall it again if you want to. Step 01 - Go to the Dock and press on the Finder icon. Step 02 - Press the Utility folder. Step 03 - Open the Terminal by double-clicking on its icon. When you uninstall or remove Flash Player, it’s different from removing normal applications. But first, you will need Adobe’s uninstaller. Plus, you have to follow the directions we will state below. Step 01 - First, you need to know the version of your Mac OS. You can do this by pressing the Apple Icon and selecting About This Mac. Take note of the displayed version of your Mac OS. Step 02 - Go to the Adobe website to check the uninstaller that is compatible with your version of Mac OS. Step 03 - Download the compatible uninstaller. After which, install it. Step 04 - Launch the uninstaller. Step 05 - Press Uninstall. Step 06 - Make sure all browsers are closed. Also, you should also copy or print these instructions so you can still follow it after closing the browsers. Voila! The guide is already finished. By now, you should know how to completely uninstall apps the proper way in your Mac device. Uninstalling multiple programs is possible in your Mac device. You can do it the manual way or the easy way through a tool called iMyMac’s Mac Uninstaller. Whatever method you prefer, our guide will still help you through the entire process and will help you completely remove the applications from your Mac device. / Mac Uninstaller / How to Uninstall Multiple Programs on Mac?